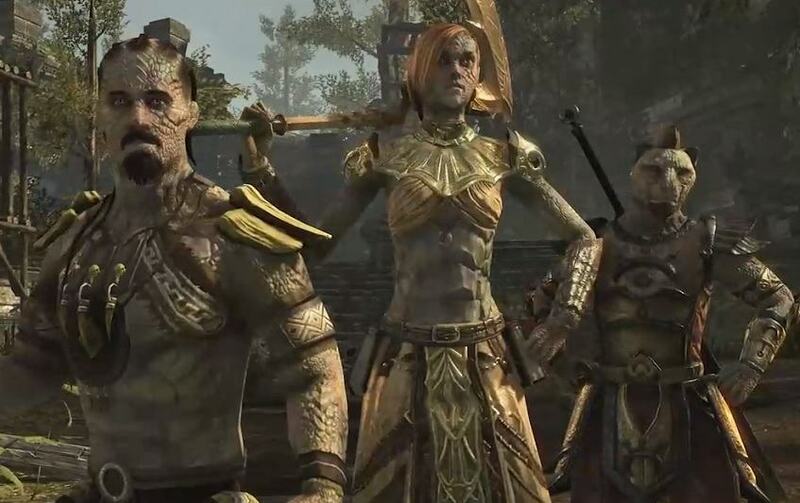 Murkmire will be the 4th new Content DLC for Elder Scrolls Online in 2018. It features a new zone and expands on story content, which will take place in the home of the Argonians. 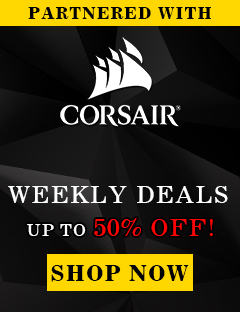 There, you will win the trust of reclusive tribes, delve deep into crumbling xanmeer ruins, and hack your way through the savage wilds of Black Marsh to discover one of the Hist’s greatest secrets. The zone will be located south of Shadowfen in the western Black Marsh and will be a neutral zone. You can expect new exploration, new story line, new World Bosses, new Delves and a brand new group arena with normal and veteran mode! 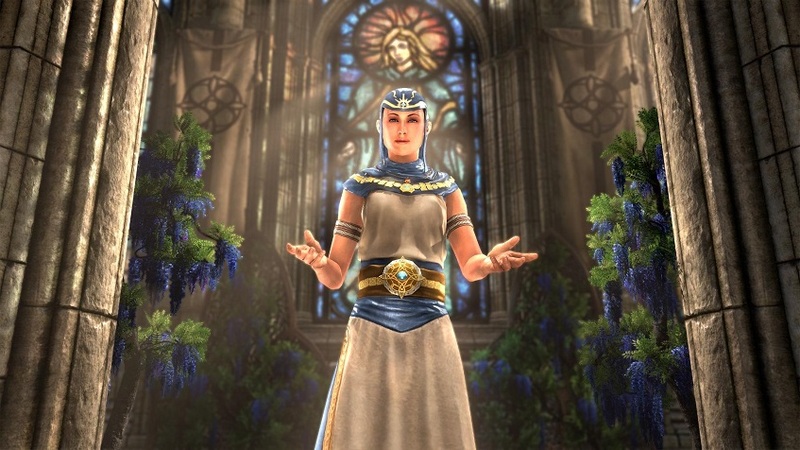 The first new item will be Priestess of Mara costume. Niben River is now slightly wider in various locations, and safe shorelines have been removed. Doubled the damage from Slaughterfish. Lunarfang Docks now has a makeshift pontoon bridge which cannot be destroyed. Added new tunnels South of Weynon Priory, which leads into “Aldmeri Territory”, and West of Kingscrest Keep, which leads into “Daggerfall Territory”. Keep walls now have 410,000 HP when upgraded instead of 305,000 HP. Reworked the postern house to be a platform more conducive to siege deployment. This platform also shields the Keep Wall it’s built upon from taking damage until it’s destroyed. Bridges are now slightly more elongated compared to their non-destructible cousins. Slightly adjusted the terrain around all Milegates and Bridges to aid in deployment of Siege weaponry. Made minor adjustments to the southern side of Chalman Milegate to ensure Siege weaponry is more accurate. Added three new Outposts to Cyrodiil: Winters Reach, Harlun’s Outpost and Carmala Outpost. These Outposts have been added to the Keep transit network via Dragonclaw, Drakelowe and Brindle respectively. Siege damage will no longer critically hit against players. This applies to initial damage and secondary damage effects. Added Cyrodiil Towns (Bruma, Cropsford and Vlastarus) to the Keep transit network from Dragonclaw, Drakelowe and Brindle respectively. Placed new Alliance Guards in respawn locations of capturable towns, which can be accessed after jumping down from the safe platform via doors on their associated structures. Cropsford’s “Outlier flag” is now better defended and reinforced with some structures. Updated the respawn points for Vlastarus and Bruma. Made several adjustments to Battleground matchmaking in an effort to improve overall match quality and reduce egregious queue times. Everyone will now qualify for the daily Battleground rewards if there are two identical scores between three teams for the final score of a Battleground. When there is a tie between the top 2 teams, they are now both awarded 1st place and the bottom team is awarded 2nd place. When there is a tie between the bottom 2 teams, they are now both awarded 2nd place and the top team is awarded 1st place. When there is a 3-way tie, all teams are awarded 2nd place. In any tie scenario, except for all teams having a score of 0, all eligible players on all 3 teams will receive the daily Battleground reward. The Divine Guardian and Chaos Champion medals will now be awarded at a lower threshold. 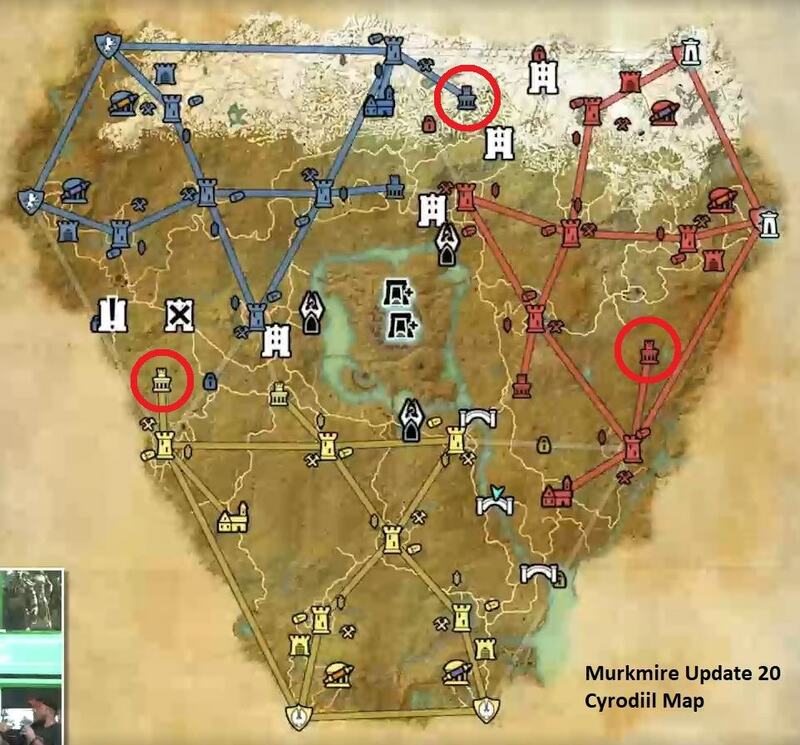 Three new Outposts have been added to counter the imbalance of the Towns. Now here you can see the new Winters Reach outpost in the Daggerfall territory. Several Bridges and Milegates can now be completely destroyed. When all bridges are destroyed and there is no way across the river, you can also go over so called “Goatpaths” (Yes, Goatpaths) that can be used to get across the river, which are very small woodbridges. When Imperial Potentate Versidue-Shaie wanted a distant dungeon to house the most feared criminal and political prisoners of the Second Empire, he ordered a penal institution built on the coast of Black Marsh; it was named Blackrose Prison after the ancient city a day’s march to the north. Now, you can enter the dreaded Blackrose Prison, and face waves of brutal enemies in an ever-escalating battle for treasure and glory. 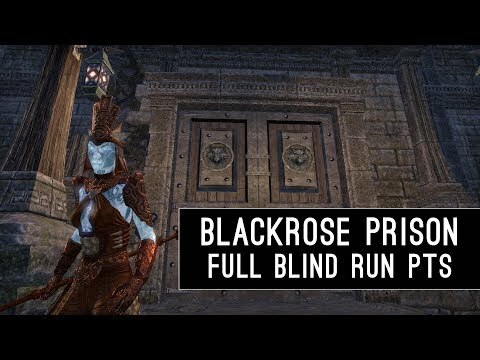 Blackrose Prison is a 4-player Arena located in Murkmire. The Arena includes a normal and challenging Veteran version. There are all-new, skill augmenting “Blackrose” weapons in the same fashion as Master, Maelstrom and Asylum weapons. The full list can be found below. The Veteran version of Blackrose Prison will qualify players completing it for the Leaderboards. Another cool thing within this arena is, that there will be Sigils in each stage that you can use to make your life easier, similar to how they exist in the Maelstrom Arena. In this arena you will fight against the Imperials that have sided with the Leader of the Blackguards. As you can see in the picture above, there will be a lot of fire damage, therefore it might be wise to not be a Vampire. You will also find a lot of Flame Atronachs in this stage. The boss in this Arena is called “Tames-The-Beast”. You will find a lot of different beasts in this arena, such as Netches, which are not killable, therefore you have to make sure to avoid them. The Netches will attack you if you hit them with your damage abilities. In this stage of the arena you are going to meet a lot of Vampires that will try to kill you. There is also portals on the ground, if you stand in them more monsters will spawn. In this stage you basically meet all your foes of stage 1 to 3 again. You also have to fight two bosses at the same time in the last stage. In the final stage you have to fight against the souls of the tormented and tortured. There is a lot of mechanics that stun you, so it is important to block in the right moments and have enough stamina. The Power Ups in this arena are group centric. Soulgem Sigil: When you use the Soulgem Power Up you are ressing all of your dead group members, kind of like a second chance. Shield Sigil: This will apply a shield, protection you from some of the damage you receive and it reflects all ranged attacks. Speed Sigil: This will give you a speed boost for a short duration, increasing your overall speed. Healing Sigil: This will heal you for a specific amount of time. 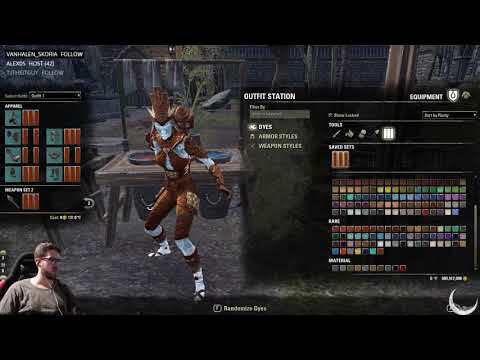 One of the rewards will be an Argonian themed Skin that you can utilize on all your Characters. 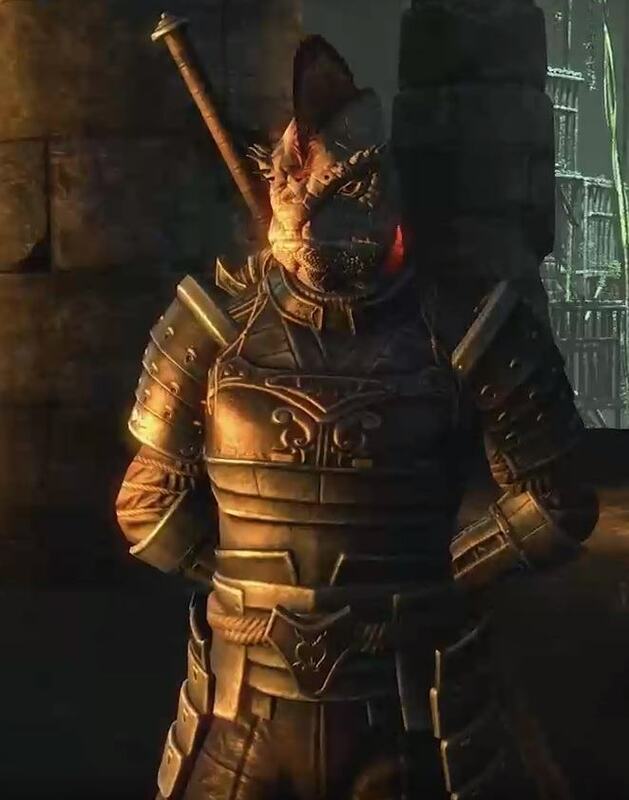 If you use the skin on an Argonian character it will look unique compared to other races that use the skin. You get this dye after completing the veteran Blackrose Prison Arena mode. Like always, you will find ability altering weapons in the Blackrose Prison, which are called “Blackrose Weapons”. You can find the all the Blackrose Weapons on the ESO-Sets.com website. 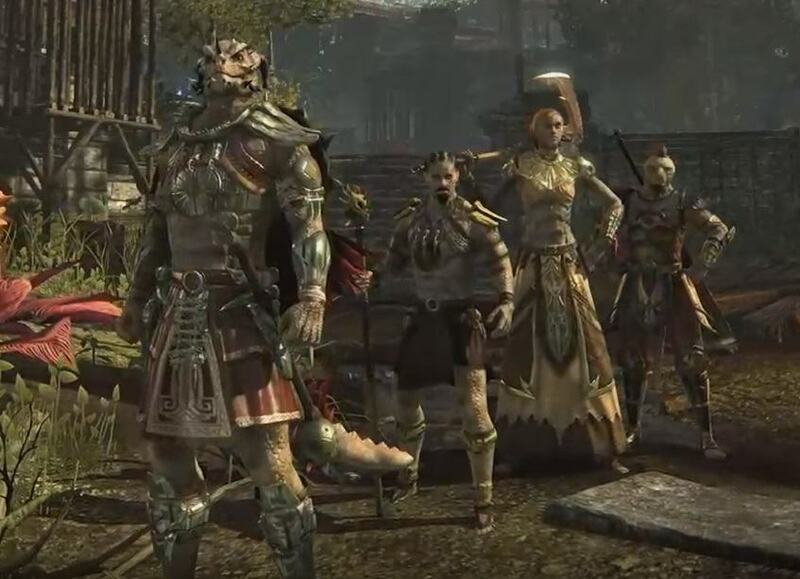 There are 12 new Item Sets available from a variety of sources from Murkmire. 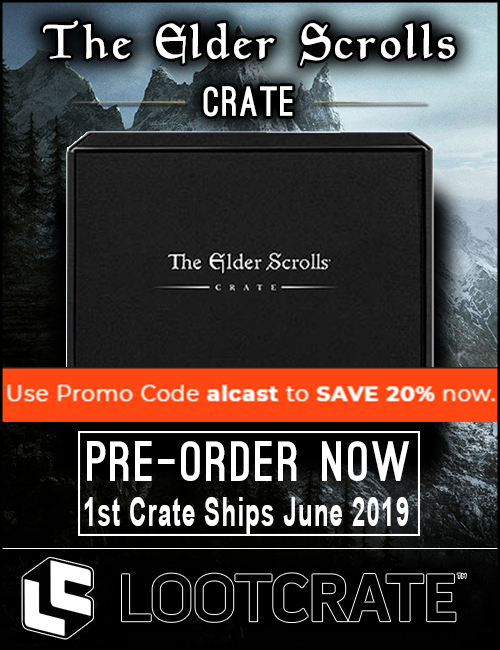 This includes 3 Item Sets available as drops throughout Murkmire, 3 Item Sets available at crafting stations in Murkmire, and 6 Item Sets available from Blackrose Prison. 5: While you have a drink buff active, your Max Magicka is increased by 2000 and Magicka Recovery 150. 5: When an enemy dies within 2 seconds of being damaged by you, you gain 5 Ultimate. 5: Gain Minor Heroism at all times while you are in combat, generating 1 Ultimate every 1.5 seconds. 5: Enemies you’ve damaged have a 10% chance to drop a grave-stake for 6 seconds after they’ve died. Touching the grave-stake restores 6500 Stamina and Magicka. Only one grave-stake can appear at a time. 5: When you cast a damage shield ability, you gain Minor Mending and Minor Vitality for 6 seconds, increasing your healing done and healing received by 8%. This effect can occur once every 6 seconds. 5: After successfully blocking, gain 3 uses of Empower, increasing the damage of your next 3 Light Attacks by 40%. 2: Uppercut deals 50% of its damage to two enemies near your primary target. 2: Reduces the cost of Shield Charge by 25% and reduces the cost of your next non-Shield Charge One Hand and Shield ability by 100%. 2: Blade Cloak grants you Major Protection for 3 seconds, reducing your damage taken by 30%. 2: Scatter Shot applies a bleed after a delay that deals 40% of your initial attack every 2 seconds for 4 seconds. The duration increases if you are further away from your target to a maximum of 12 seconds. 2: Reduce the cost of Impulse by 10%. Impulse places lingering elemental damage on your targets, dealing 3333 Flame, 3333 Shock, and 3333 Ice Damage over 9 seconds. 2: Steadfast Ward applies Major Vitality to your target for 3 seconds, increasing the healing taken on your target by 30%.